The digital breach between agricultural producers and IoT technologies has reduced in the last years. In the future, these technologies will allow improving productivity through the sustainable cultivation of food, as well as to take care of the environment thanks to the efficient use of water and the optimization of inputs and treatments. IoT technologies allow developing systems that support different agricultural processes. Some of these systems are remote monitoring systems, decision support tools, automated irrigation systems, frost protection systems, and fertilization systems, among others. Considering the aforementioned facts, it is necessary to provide farmers and researchers with a clear perspective of IoT applications in agriculture. 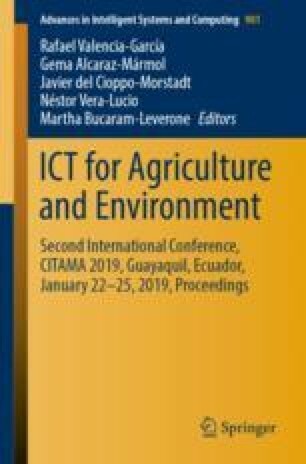 In this sense, this work presents a systematic literature review of IoT-based tools and applications for agriculture. The objective of this paper is to offer an overview of the IoT applications in agriculture through topics such IoT-based software applications for agriculture available in the market, IoT-based devices used in the agriculture, as well as the benefits provided by this kind of technologies.